All too many life science graduates find themselves struggling to bridge the gap between academia and their future career. Finding the right opportunity to kick start their professional development counts for a lot - but it’s often challenging to find. Being trained by a leading life science company is a great option for graduates. It offers a strong start to their career thanks to excellent development programs and the resources available to provide first-class training. Although some graduates may be little late to the party as some deadlines have passed, there are still some great graduate programs and entry-level life science jobs available. GSK is a British pharmaceutical company and has been a staple on ProClinical’s annual top 10 pharmas in the world list. It is also one of the best pharmaceutical companies towork for according to Glassdoor, being recognised for providing excellent training and development opportunities for its employees. GSK’s Future Leaders program is still open for recent life science graduates looking to learn about various aspects of the business and runs over a 2-3 year period. There are several areas available to specialise in for life science graduates, ranging from research and development, manufacturing and supply to business operations and sales and marketing. They even have a handy quiz to help you decide which program you’re most suitable for. If this program isn’t the right fit, GSK also has a host of internships, summer placements, industrial placements and entry-level jobs for life science graduates living in the UK and USA. Currently the most successful life science company in the world, Johnson & Johnson is a multi-national conglomerate with plenty of opportunities to offer new graduates. For those looking for a structuredgraduate scheme, there’s the Experience Leadership Development programs and internships which are available in a range of specialist areas and industries, including medical devices, human resources, technology and finance. These programs are available in multiple locations all over the world, particularly in emerging life science industries like South Korea, Brazil, Indonesia and Thailand. Additionally, there is a number of full-time graduate life sciencejobs available on the Johnson & Johnson job page across the business’ consumer healthcare, pharmaceutical, biotechnology and medical device subsidiaries. These will all appear together if the keyword ‘graduate’ is entered into the search function. Japanese pharmaceutical company, Takeda, is currently the biggest pharma company in Asia. The company was awarded global Top Employer status in 2018 and is dedicated to creating an environment in which its employees can thrive. Currently, Takeda has a few programs still open for life science graduates. These include the IT Professional Development Program and the MBA Commercial Leadership Program. Aside from these programs, there are also a number of internships and entry-level life science jobs to be found on the Takeda job forum. These opportunities are scattered at various locations including San Diego, a major life science hub on the West Coast of America. Leading American pharmaceutical company, Merck, is naturally an attractive prospect for graduates looking for a strong start to their career. Dedicated to fostering diverse and promising talent to contribute to their innovative pipeline and catalogue of successful medicines, the company offers great opportunities to life science graduates. Merck’s GoGlobal platform and Functional Graduate program offer recent science grads the chance to undertake up to 3 years of rotations within core business areas. The GoGlobal program is specifically for those with dual degrees in natural science and business, but the Functional Graduate program is far more wide ranging with the option to specialise in areas such as Finance, Supply Chain, Research & Development and Quality, Regulatory and Compliance. Merck’s main job page also has a handy search function “Career Level B - recent university graduate” which automatically brings up graduate programs, internships and entry-level roles suitable for life science graduates across their global offices. Stryker is one the biggest medical device companies in the world and recent life science grads wanting to kick start their career in medical devices can expect great training and development opportunities here. The company recruits students and recent graduates for its 3-month intern positions and recruitment usually begins at the beginning of the year, ready for a September start. Internships take place across Europe, China, Singapore and as far flung as Australia and New Zealand. Be aware, the bulk of these opportunities are suitable for those currently enrolled in a course. For those wishing to go straight into full-time work, Stryker also offers a number of entry-level medical device jobs on their main job platform. Like the internships, these opportunities are available across Stryker’s various global offices, in locations like Germany, the USA, the Netherlands, Japan and South Africa. British pharmaceutical giant, AstraZeneca, is an excellent choice as a first employer for graduates looking for a job in pharma. AstraZeneca offer excellent opportunities for recent science graduates, including many graduate programs. While some may already have closed there are still some programs accepting applications, although it’s advisable to act quickly to avoid missing out. For example, the IMED Early Phase Drug Discovery program is still recruiting for places in the UK, USA and Sweden. Other available programs include Biometrics & Statistics, Data Sciences & AI and Human Resources. The company has an entire page dedicated to ‘Early Careers’ and has separate opportunities for students, undergraduates, graduates/masters and postdocs. 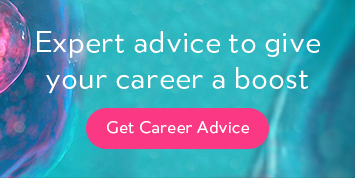 For more advice on what to do with a life science degree, check out ProClinical’s Career Advice page, where there are several articles aimed at supporting graduates in their early career. There will be advice on CV writing, attending interviews, transferable skills and the different types of jobs and career paths available to life science graduates. Alternatively, there is also option of using a life science background to become a specialist life science recruiter. ProClinical offers an excellent global life science recruitment graduate programme for those who wish to use their expertise in a fulfilling and financially rewarding career.